Perhaps you want to record Join.me session to review it for future references. In fact, there are many easy solutions and Screen Grabber Pro is among the best webinar recording software you can try to capture anything happening on your computer screen so that you doesn’t miss anything important in the meeting. Join.me is a popular online meeting service that allows people to have video conferencing meetings with others over the Internet. During the meeting process, whoever is running the meeting can share the computer screen with the rest. The presenter can also add annotations like texts and graphics. If you try to record Join.me video session using the built-in recorder, you will be quite disappointed in the video quality. Then is there a way to capture Join.me video with high quality? Luckily, there are many screen recording programs that can help you get the Join.me recording task done perfectly. Here are some of the top choices that you can try. The first recommended method is to use Free Online Screen Recorder, an entirely free online app that allows you to record whatever appears on your computer screen. Its user-friendly interface and versatile features make it a wonderful option if you want to record on-screen Join.me meetings. Multiple recording ways and audio input sources are provided for a better overall recording effect. The output video quality is guaranteed so you don’t need to worry about the video being too blurred. Moreover, you can save the created recording in a multiple formats for example the widely used MP4, AVI and the good quality MOV, etc. so you are able to virtually play your selection anywhere you like. After you start the Join.me session, simply follow the steps on how to record Join.me session to capture the entire thing you need. In order to utilize the benefits of this app in terms of capturing Join.me videos, check the guidelines below. Firstly you can drop in and load the free screen recorder official page in the browser as well as open your Join.me session, and afterwards press the Start button directly on the recorder’s website. At this point the interface for the users will load and emerge, where you can afterwards adjust and choose the source for audio input via picking either System Sound or Microphone, where in case of Join.me meeting sessions the best is to choose both System Sound for recording your partner’s voice, and Microphone too for recording your answers. Once you selected the mode how you wish to record, in case you selected full-screen mode then everything will be recorded on your screen, otherwise in Region mode you need to highlight the Join.me window for recording. Then you can open your Join.me meeting in the background and when the Join.me call is in progress, go back to the toolbar and tap on the Record button, so everything discussed in the Join.me session will be recorded. Another nice option to record live video session from Join.me is Screen Grabber Pro, which offer more functions than the free online version. With it, you can record any activity on the computer screen, including the Join.me session. Beside all the features provided by the free online screen recorder, this desktop screen recorder offers a task scheduler that allows you schedule a recording task by presetting the recording time and duration. This feature is quite great when you need to record video while you have no time to be in front of the computer. If you want to try out this program in function for recording the Join.me session, here are the steps to follow. Firstly, before the Join.me call can be recorded, you need to press the button located above to download Screen Grabber Pro and afterwards do its installation on your computer automatically via the launcher. You can afterwards go to Settings > Options in order to configure the available general recording settings that need to be suited first before proceeding to the actual recording. After you are done with this step, you can visit the Audio Input tab on the top to decide on the most suitable audio source among System Sound, Microphone or both options. For the Join.me recording, we recommend you to have both System Sound and Microphone as the voice of your partner is considered to be a system sound through the speakers, while your voice is via the microphone. Next, click on the Start button to pick from a recording mode from Region, Full Screen, and Webcam, and so on. In case the Join.me recording, it is enough to record the window of the meeting, therefore it is suitable to only specify the particular area you need around the Join.me window, and therefore just choose the Region as the preferred recording option. Afterwards, you can simply start the recording by highlighting this specified region around the Join.me window, and afterwards just click on start to perform the recording. Bandicam has long been used for recording desktop tutorials, screencasts and even video gaming clips. It allows you to record in high definition as either in AVI or MP4 file format. Audio files are also recorded and saved as WAV files. If you choose to use this program to record your Join.me meeting, just follow these simple directions. Bandicam can be downloaded for free from the official website, where after the downloading you can manually proceed with the installation after clicking on the launcher file in order to set up your program on your computer before the recording. If you wish to also record the sounds that are made by the Join.me session from both of the parties, you have to be sure about that the “Win8/Win7/Vista Sound (WASAPI)” option is selected from the drop-down menu called “Primary Sound Device”, together with the microphone option so that your side will also be recorded. Once you set the audio options, you can also alter the options of your video capturing to get the best available quality for your Join.me session recording. 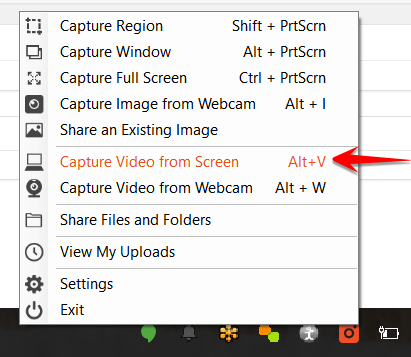 In order to do this, just click the Video option located on the primary Bandicam window, and afterwards press the “Settings” where you can adjust every important settings, such as the format and the bitrate. Once you have the settings adjusted, just set your recording area. Your recording area should completely include the Join.me window that you want to record. You can click and drag the edges to resize the recording window to exactly fit the Join.me meeting’s window so you only record the part which you really need. After setting the area around the Join.me window, you can finally click on the REC button to begin recording. You can click the REC button in the upper-right corner of your recording window, or click the REC button in the Bandicam main interface to directly start recording the Join.me meeting. The oCam is 100% free for any amount of screen capturing and recording. This program is exceptionally helpful if you prefer to save your screencasts or videos in multiple formats such as AVI, MOV, MP4 and iOS-MPEG. Using the program is very simple and intuitive. Once downloaded and installed, click on “Codecs” and select the file format you wish to save it. Next, click on “Sound” and choose the audio file type also inside the interface before continuing to the actual recording of the Join.me session. Once all the options are set, click and drag the recording frame before clicking on the “Record” button to begin. After adjusting the frame aroud the Join.me meeting’s window, start to perform the actual recording, and afterwards, when the meeting is done, simply click on “Stop” and “Open” to navigate to your recorded file. 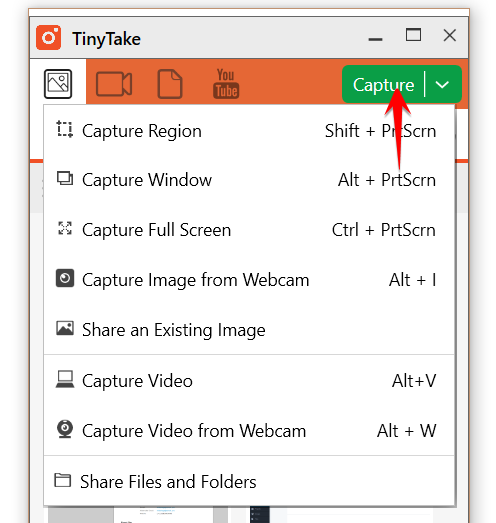 TinyTake is a recorder that shall be noted for providing a very good screen recording experience which is also applied to doing the capturing of Join.me sessions. This tool is well used by many people who are seeking this sort of capturing activity especially due to that it grants its users a great navigational experience together with an ease of usage that is around the most looked-after criteria that are considered for such solutions to have nowadays. The features presented in the program give you a great possibility for having a smooth capturing process where the capturing itself goes with a smooth and fast pace without interruptions and therefore without giving any negative effect to the final recording. Having read the introductory details, in case you decide on using this tool, just have a look at here for the steps. 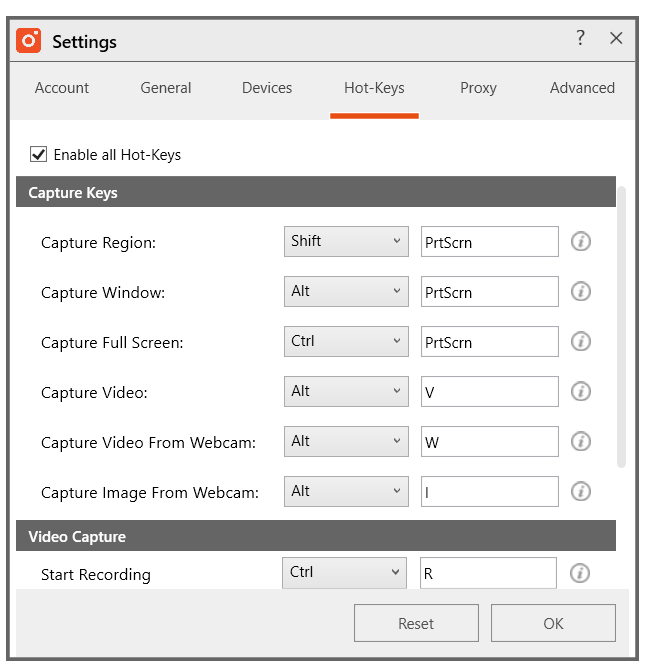 In the beginning when it comes to the activities after installing the program, you can simply click with your right mouse button to the icon of the tool on the system tray of your computer where you shall press the Capture video from screen option. In case you don’t do direct recorder, firstly you need to do a personal adjustment on the configuration of the settings, regarding choosing the suitable quality and recording options, as well as the shortcuts which are set for direct recorder after anytime that specific button will be pressed later on. Once the configuration is done, just press the green button so that you can start the capturing process comfortably. Then just do the recording and eventually stop the capturing so you are able to save the creation directly on your device for further steps. The aforementioned tools are all great programs which are suited to perform the recording of Join.me session. However, the different tools all have their own advantages and drawbacks when it comes to using them to record your meeting, therefore you must develop a good overview about them before you are ready to choose the one which is the most suitable to your needs. In either case, we recommend you to use the aforementioned AceThinker tool as one of the best solutions that will surely make up for your need in recording Join.me sessions on your computer with ease.